The Best Gardening Magazines from thousands of Gardening Magazines on the web using search and social metrics. Subscribe to these websites because they are actively working to educate, inspire, and empower their readers with frequent updates and high-quality information. Gardening Magazine newsletter is a comprehensive summary of the day's most important blog posts and news articles from the best Gardening Magazine websites on the web, and delivered to your email inbox each morning. To subscribe, simply provide us with your email address. Facebook fans 1,367,038. Twitter followers 54,325. Colchester, Essex About Blog The UK's leading read for all things veg and fruit related. The Good Life in magazine format! GYO Growing & How To Grow Vegetables tomatoes, fruit from your garden. Tips on Growing. Facebook fans 6,715. Twitter followers 28,102. Cincinnati, OH About Blog Without gardeners, there are no gardens. Horticulture is dedicated to celebrating the passion of avid gardeners, who take delight not just in gardens but in garden-making. Our informative, engaging writing and brilliant photography enables gardeners to create spaces that make them proud, beautify their hometowns and provide a gathering place for family and friends. Covers floriculture, garden design, flower gardening, hydroponics, vegetable gardening. Facebook fans 80,014. Twitter followers 11,488. About Blog Garden Culture is a print magazine dedicated to the art of growing food and medicine. Draw inspiration from our magazine and grow with progressive gardening techniques. Organic growing, urban gardening, hydroponics, foodscaping; just some of the topics in the context of today’s social issues. Facebook fans 7,769. Twitter followers 1,046. Facebook fans 2,219. Twitter followers 505. About Blog GardenDrum is an international gardening magazine about gardens & gardening, plants, garden design, garden tours & travel, product reviews & landscaping. An online gardening magazine and garden blog site that’s original, well-researched, opinionated but balanced, and with thousands of great garden stories in just one place. And that’s thousands of stories written by people who know what they’re talking about, and also know how to write engaging, witty and easy-to-read blogs. Facebook fans 3,251. Twitter followers 255. Facebook fans 126,497. Twitter followers 2,151. Cumbria, England About Blog Reckless Gardener is a website for garden enthusiasts and lovers of heritage and landscapes. We feature all the major RHS shows, from RHS Chelsea to Tatton Park and news, views and features from garden visits to personalities. We also feature garden advice and garden book reviews. Facebook fans 753. Twitter followers 3,806. Facebook fans 4,471. Twitter followers 11,958. 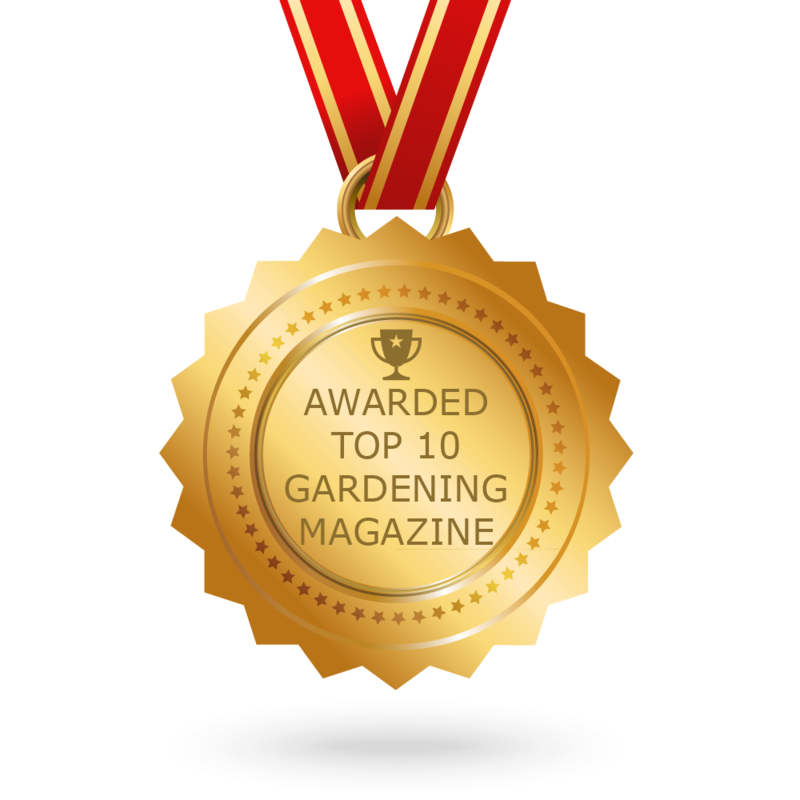 CONGRATULATIONS to every Magazine that has made this Top Gardening Magazines list! This is the most comprehensive list of best Gardening Magazines on the internet and I’m honoured to have you as part of this! I personally give you a high-five and want to thank you for your contribution to this world.